Puerto Rico is considered the most gay-friendly island in all of the Caribbean making it an ideal destination for any LGBT couple. Sure, solo travelers will find it equally as nice but among its Caribbean neighbors, you and your special someone will likely find Puerto Rico the most welcoming. Of course you need to be smart everywhere you travel, but your “Out-of-the-Closet-ness” factor is on your side on this little island just south of the southern tip of the US. Puerto Rico has its very own culture and customs yet is very much connected to the United States. 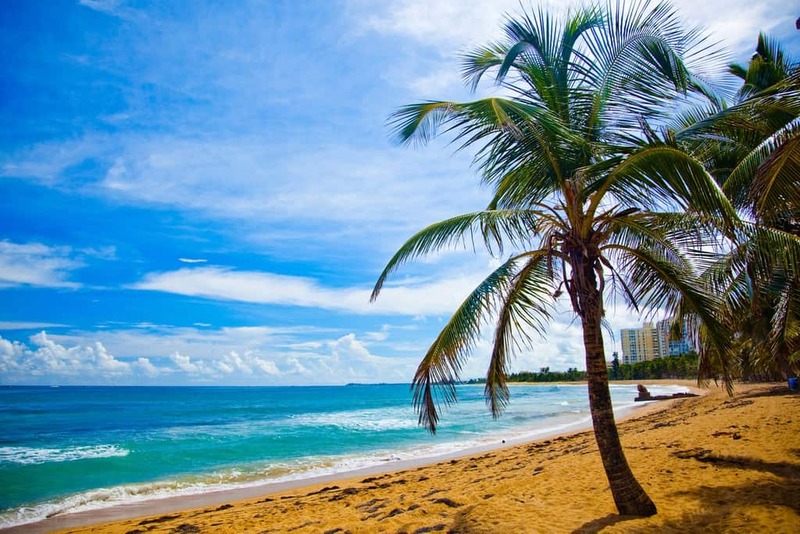 Though Puerto Rico is not one of the 50 states, it is a territory of the US, which means Puerto Rican’s receive a US passport and the currency is the US dollar. Great news for any Americans who want to visit – that’s right, you don’t even need a passport, there’s no money exchange and it’s just a quick flight from the southern US with many direct flights to other major US cities. There are also a number of direct flights from other parts of Latin America and easy connections to Europe through Spain. No trip to Puerto Rico is complete without visiting the Island’s capital, San Juan and indulging in the gastronomy, nightlife and culture. 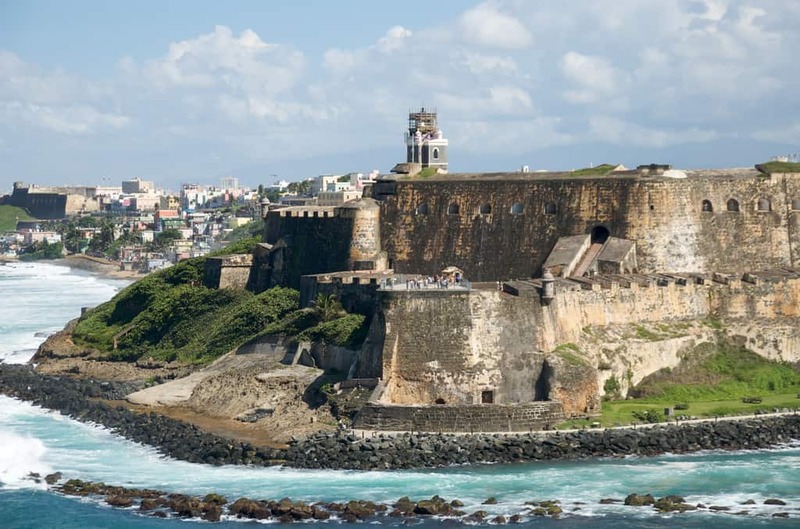 But while San Juan may certainly be the highlight, there are plenty of other interesting places all around the island to visit on a special vacation, honeymoon or couple’s getaway. Ok we know, we know…singles not to be discriminated against! But just think – you could go alone or with a few friends and you might just meet the Latin lover of your dreams! You’ll likely start and end your visit in San Juan since all major connections go through the city. San Juan has lots to do and see and it’s worth spending at least a few days there before visiting other parts of the island. 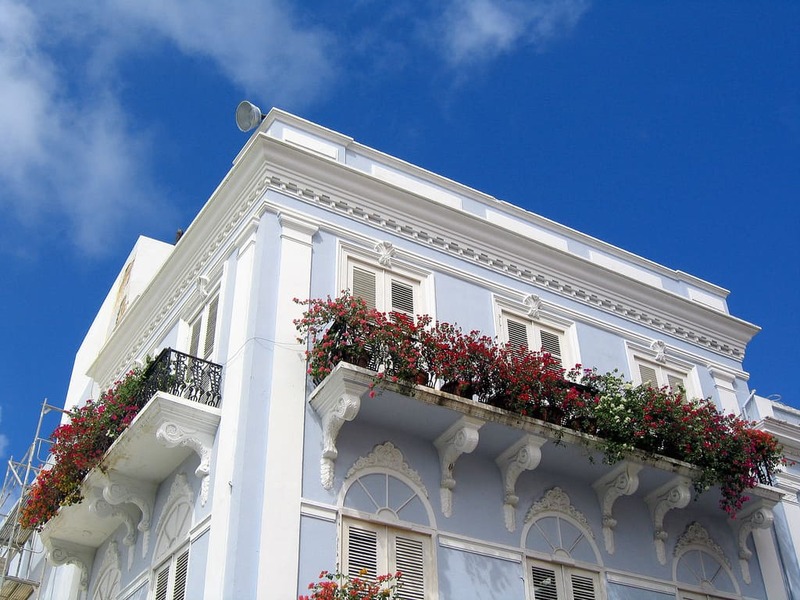 Popular neighborhoods include Old San Juan, Isla Verdo and Condado – the most gay-friendly area of the island. 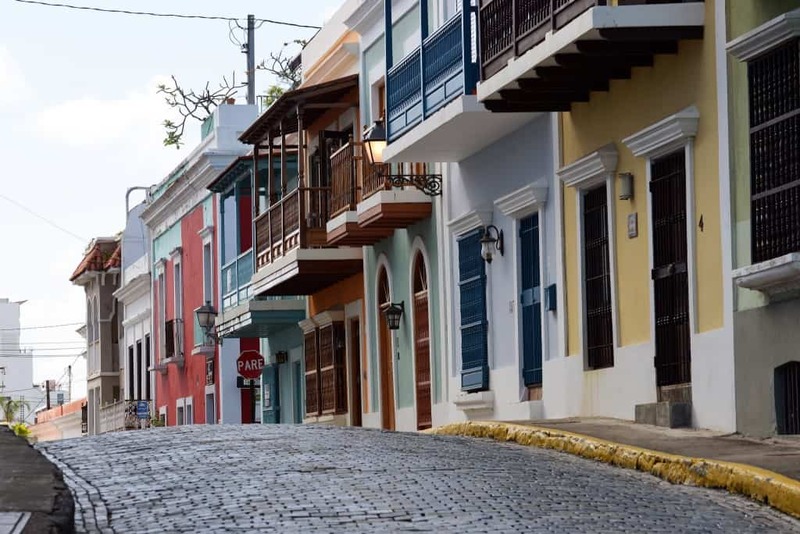 You can spend half a day exploring Old San Juan where you’ll find blue cobbled streets, open plazas and lots of great boutique shops – all styled in Spanish architecture. The old town is compact so it’s all easily accessed by walking. 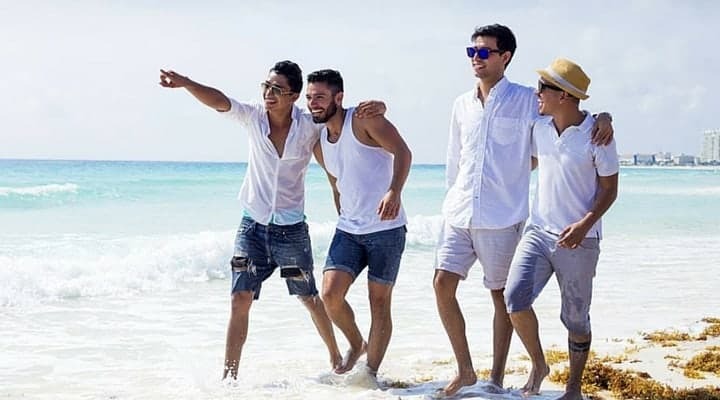 There are also a number of beaches in and around the city but you’ll find Atlantic Beach is where the gays gather – mostly in front of Oceano, a gay-owned restaurant and beach hang out. Ocean Park nearby is also gay-friendly but it tends to be full of younger crowds and college students. You probably want to keep any public displays of affection to moderate level. During the day time in the gay-friendly areas you shouldn’t have any problems with your partner, but like anywhere, just use your best judgment and be cautious of who’s around you. Once you’re settled into San Juan, you can’t miss a trip to the Barcadi Distillery to take a tour of the famous rum making facility. Tours of the distillery cost $12 and you can easily reach the distillery by ferry (the most economical route – Aqua Express #2) from Old San Juan to Cataño and then catch the shuttle or a taxi to the distillery. And if you really want to dive into the gastronomy of Puerto Rico, it’s best to take a food tour from a local expert guide. You can find great Culinary Tours and Coffee Tasting Tours in San Juan that will show you some of the best you’ll find on the island. During your stay in San Juan you can’t miss the local nightlife scene. The Condado neighborhood is where you’ll find most of the gay bars and gay-friendly places. Circo is San Juan’s most popular gay club offering Drag shows, go-go boys and great dancing. Other favorites like Oceano and Tia Maria Liquor Store (yes it’s a bar and not a liquor store, despite the name) are very popular with both locals and tourists. If you’re a couple visiting Puerto Rico, these places are your gay oasis and the sure place where you can be yourselves without fear of danger or discrimination. Puerto Rico’s nightlife scene is exciting and the gay scene is fairly well developed for such a small island. While San Juan is a great destination, you’d be shorting yourself by going all the way to Puerto Rico and missing some of the island’s additional offerings. Head out from San Juan and make a visit to the other islands and natural wonders. One of the most unique things you’ll find in Puerto Rico is the Bioluminescent Bay on Isla Vieques. Known as Puerto Mosquito or Mosquito Bay, this destination is one of the best bioluminescent bays in the world and it’s considered a natural landmark of Puerto Rico. When visiting the bay at nighttime you’ll find a light emerge from the water caused by a micro-organism. The water glows whenever it’s agitated, leaving a trail of neon blue light. The best time to visit is during a new moon phase. Check out this awesome video below to see exactly what we’re talking about! Vieques Bio Bay: A TripAdvisor Traveler Review from Puerto Rico: The All-Star Island on Vimeo. 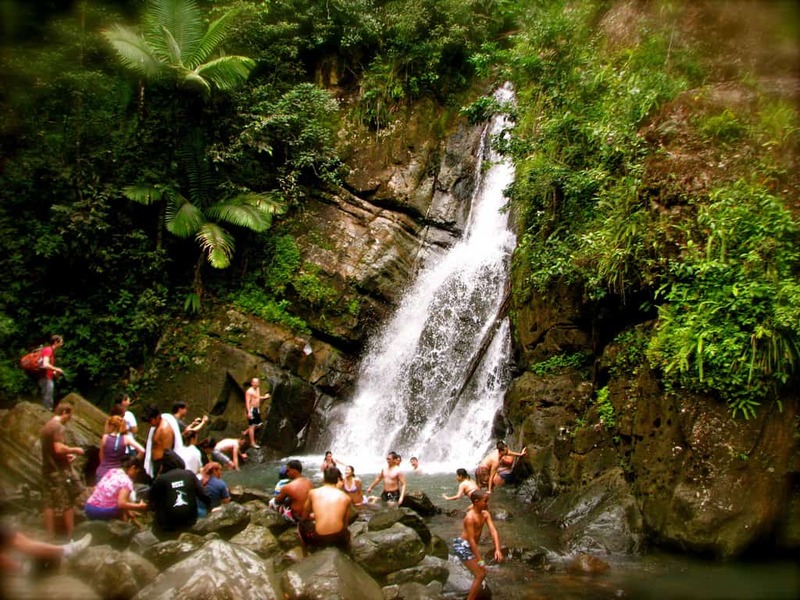 There are plenty of other great adventures waiting for you on the island including visiting the tropical rainforest of El Yunque National Forest or trekking through the underground caves of Río Camuy Cave Park. You might also consider visiting several of the other islands of Puerto Rico including Palominito Island, Culebra Island and Mona Island, which all have amazing white sand beaches and tropical blue waters – a true paradise just a short trip from the main island. What are you waiting for? Find out more here and live your own 5-star vacation story in Puerto Rico! Would you consider visiting Puerto Rico with that special someone? Or would you go alone in hopes of meeting a local Puerto Rican? Ricky Martin – we’re thinking of you! Let us know why you’d like to visit in the comments below! Note: this article was sponsored by Puerto Rico Tourism but rest assured all opinions are 100% our own and we don’t sacrifice our integrity for a sponsorship. We only promote those destinations that we genuinely recommend. Featured image taken by Breezy Baldwin via Flickr / CC BY. Traveling alone for 3 months. Would enjoy a local hookup.